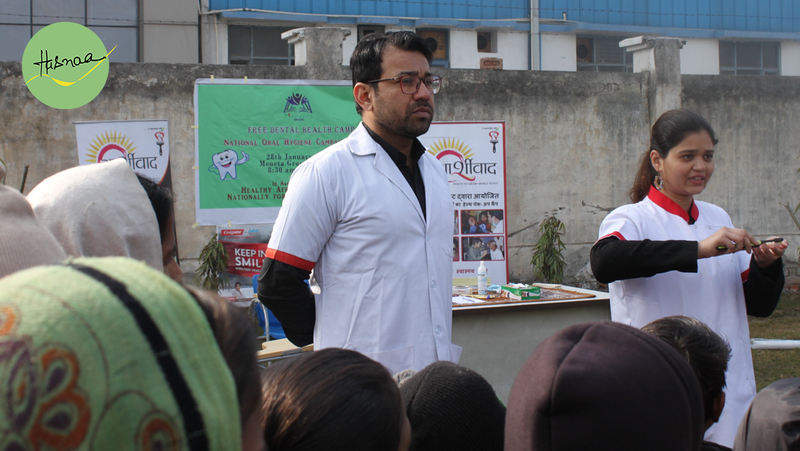 Hasnaa organized a Free Dental Health Camp at Gram Kundi, District Sonipat on 28th January 2018 in collaboration with Manava Drishti Foundation to spread awareness about Oral Hygiene amongst children as well as adults. 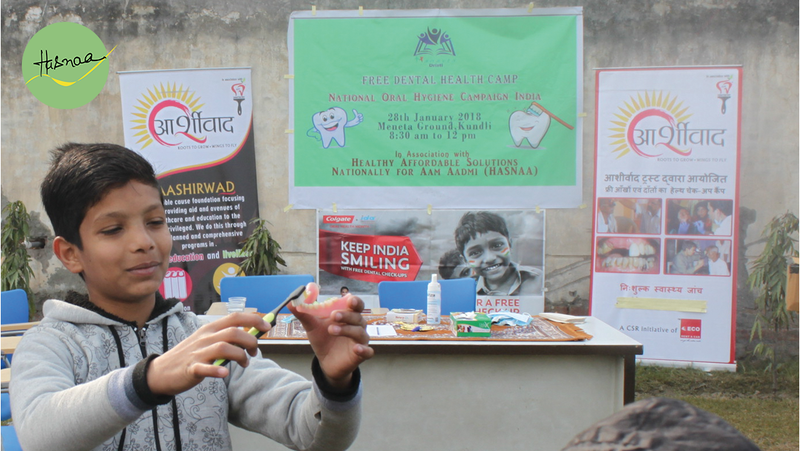 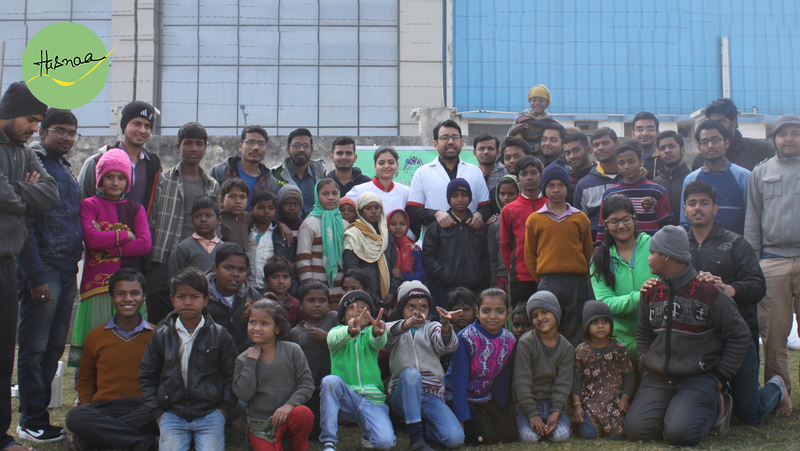 The camp saw a participation of over 100 youngsters as well as adults who came forward with their queries regarding Oral Health and received satisfactory answers from Dr. Sumit Dubey and Dr. Hema Agarwal. 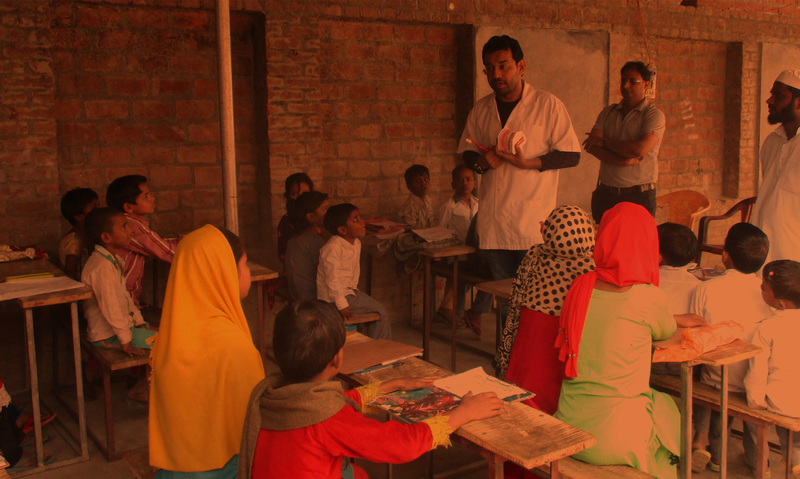 The children were also asked to educate their elders as well as their friends about Oral Hygiene and ways to maintain oral health.